Maverick Custom Airguns – MCAirguns – "You gotta love them Crosman Airguns!" We at Maverick Custom Airguns are very passionate about Crosman® PCP and CO2 airguns. Our focus is on providing customized and competition class Crosman® airguns, along with parts and service. Challenger Dual Fuel Air Rifle (.177) – Approved for use in Sporter Class air rifle competitions, Features a Lothar Walther™ barrel. 1701P Silhouette PCP Pistol (.177) – Meets IHMSA and NRA competition requirements. Features a Lothar Walther™ barrel. 1720T Field Target PCP Pistol (.177) – Meets AAFTA competition requirements. Features a Lothar Walther™ barrel. 2300S Silhouette CO2 Pistol (.177) – Meets IHMSA rules for Production Class Silhouette competitions. 2300T Target CO2 Pistol (.177) – Affordable competition pistol for clubs and teaching organizations. 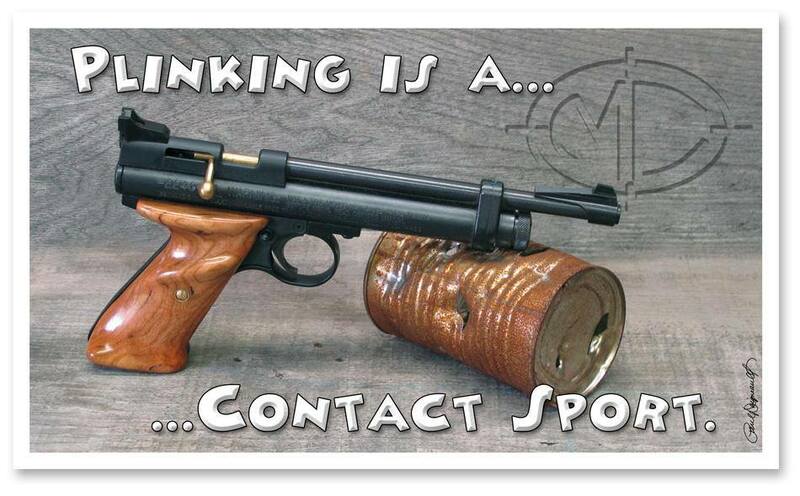 MCAirguns is very proud to offer our own custom airguns. We specialize in providing you with hand picked accessories and custom upgrade parts, which you can add to fully customize your own Crosman® airguns. Stop by our "Mavericks' Crosman CrosTalk™" Facebook Group to see what the talk's all about!